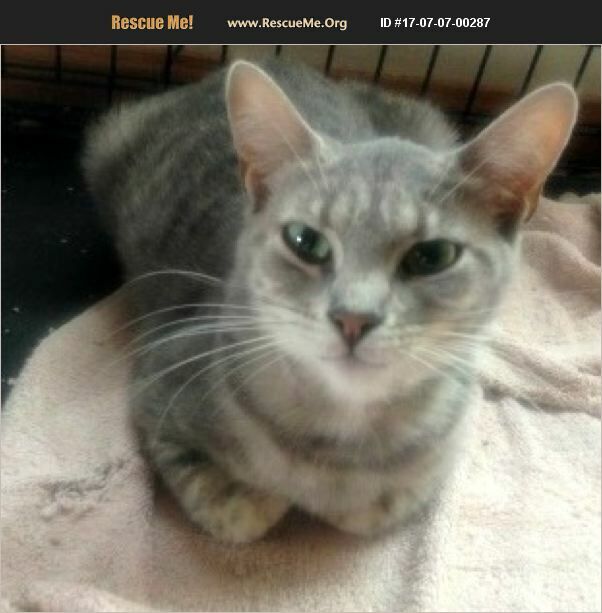 April (1) is a petite sweet young lady great for someone looking for a quiet lady who is very affectionate and she does not understand why no one will take her home and love her. A little shy at first, she is very friendly, gets along ok with other cats and tolerates dogs. She is a small young adult lady who is a lady in every sense of the word. April came to foster care in April along with several other cats who were young and living in a semi hording condition. She was pregnant and just weened two beautiful kittens. April is spayed, has her shots and is ready for someone to love her. She is liter trained and has never had an accident. April will do well with families with children and can also be a special cat for an older person. She is a sweet girl. April's foster is Jackie 562-715-9475 Adoption hours at Sat & Sun 12-5 PM at PetSmart Whittier. Please contact Cindy 562.237.3049 catsinneedpetsmartwhittier@gmail.com if you would like more info on April.